What to do as a Pedestrian if Struck by a Vehicle? When walking near traffic, there is an ever present danger of being involved in a pedestrian accident. Causes can vary and range from distracted drivers to drunk drivers. Due to the weight of the vehicle and the speed in which it is traveling many pedestrians suffer serious and even catastrophic injuries or death in these types of motor vehicle accidents. 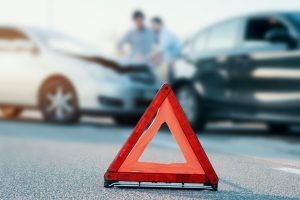 If this happens to you or someone you know, you or they may be entitled to hold the at-fault driver liable to recover compensation for medical bills as well as pain and suffering. 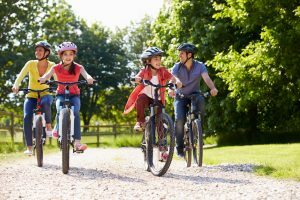 In this article we will discuss what to do immediately following an incident, if you or a loved one are struck by a vehicle while on foot. If you or someone you know is involved in a pedestrian accident involving injury or substantial damage to property, it is imperative to contact an experienced attorney as soon as possible. The Law Offices of Michael P. Burakoff has extensive experience handling motor vehicle accidents in Parsippany, Hopatcong, Mt. Olive, Andover, Newton, Morristown and other towns all over both Sussex and Morris County. Speak with Michael Burakoff about how to protect both you and your family from potentially catastrophic financial consequences in the form of medical bills and loss income from work. Contact us online, or through either our Morristown or Newton office at (973) 520-0525. If you are physically able at the time of the event, it is important to try and report the accident to local law enforcement or emergency responders as quickly as possible. Call 9-1-1 and request medical services for yourself and any other person who has been injured in the accident. In addition, provide details about the at-fault driver, the location of the accident and any relevant other factors that may help first responders. Reporting your accident immediately also helps to establish a timeline of events that can be used to construct your personal injury claim at the time of the settlement negotiation or trial. The at-fault driver’s insurance company will likely inquire about the time and location of the accident. It is also important to request a copy of the accident or police report taken by law enforcement to provide to insurers and your attorney. After any accident, you should get medical attention and treatment as soon as possible. Diagnosing and treating your injuries is the first step to recovery. Although most people understand when they have been injured in an accident, some injuries do not immediately show symptoms or display signs of a major injury that the individual has not yet identified due to adrenaline or other medical related reasons. Even if you feel embarrassed to seek medical attention and you “feel fine” enough to walk away from the incident, it is important to be examined by medical professionals. Moreover, seeking immediate medical treatment after an accident establishes that you suffered an injury. You will have to prove that these injuries were caused by the at-fault driver’s negligence, however you need to establishnthat they exist as a result of the accident first. This may go a long way toward helping you recover compensation for your injury when you file a personal injury claim. It is important to have an advocate who is knowledgeable not only in the law but in what you need to do next. The driver’s insurance company will move quickly to protect their client as well as themselves from liability. They may also attempt to convince you to accept a settlement that represents a fraction of what you are entitled. A knowledgeable attorney will help safeguard you rights as well as help put you on the path to a full recovery both physically and financially. 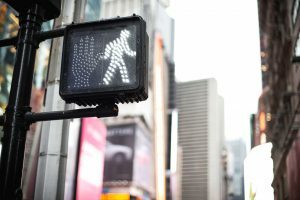 Attorney Michael P. Burakoff and our law offices have decades of experience recovering full and fair compensation for our clients injured in pedestrian accidents across New Jersey, Morris County, and Sussex County, including communities such as East Hanover, Morristown, Parsippany, Denville, Dover, Netcong, Hopatcong, and Newton. 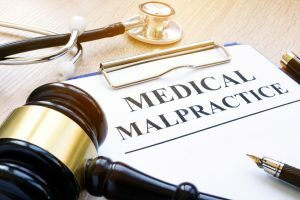 Our firm understands completely how precarious a family’s situation can become as medical expenses mount and the injured party remains unable to work. That’s why we focus on keeping our clients and their families informed and involved throughout the legal process as we work to secure them the compensation they both need and deserve to make your life whole again. Please speak with Michael Burakoff and our legal team today in a free and confidential consultation regarding any type of pedestrian or vehicle accident to learn about your options for making a successful financial recovery. Please contact us online, or through either our Newton office or our Morristown office at (973) 520-0525.